Welcome home to the beach life. 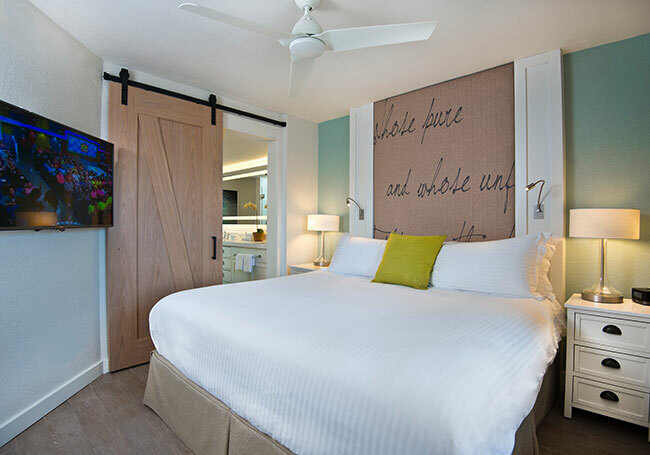 With St. Pete Beach as your backyard, enjoy an unforgettable stay immersed in contemporary coastal comfort. Everyone has room to stretch out with open, airy living spaces and bedrooms. Whip up quick meals in your own kitchenette, complete with mini-fridge, Keurig coffee maker, microwave, dishwasher and induction stove top. Live outdoors on your furnished balcony. Relax with LED TVs in the living and bedrooms. A washer, dryer, iron, ironing board, iHome radio, hair dryer and voicemail ensure you feel right at home. Pet-friendly 1st floor rooms mean everyone is welcome. Cribs and rollaways available upon request. 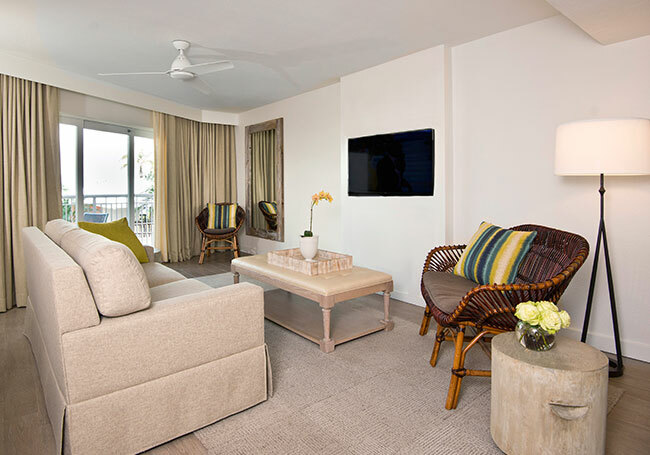 Enjoy views of the lush tropical gardens from the private balcony of your spacious suite. 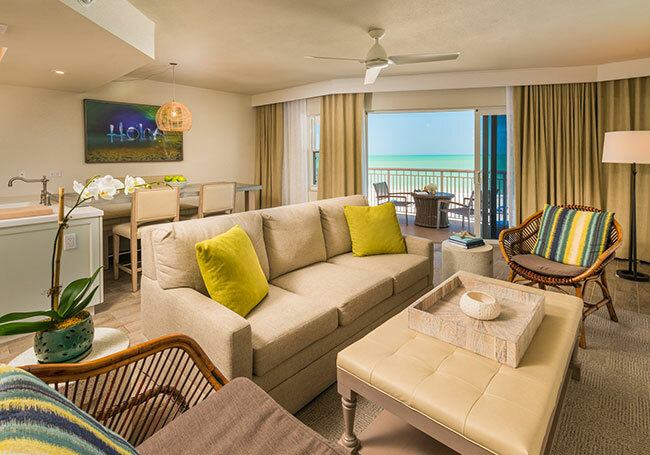 Enjoy tropical garden and partial Gulf of Mexico views from the furnished balcony of your suite. 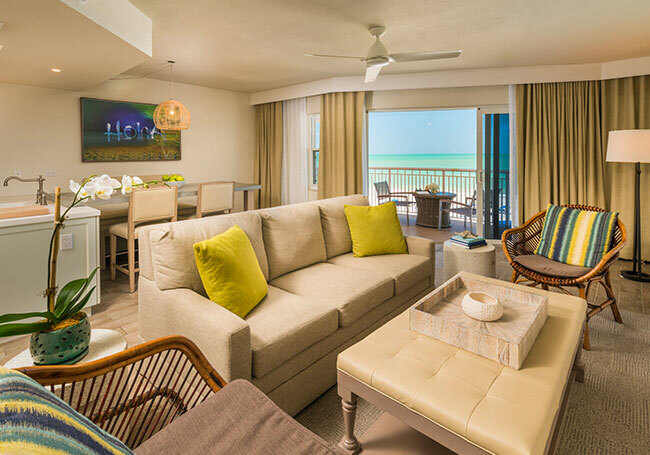 Beach and partial Gulf of Mexico views are yours from your airy suite with furnished balcony. Drink in pool and partial Gulf of Mexico views as you relax on the fully-furnished balcony of your suite. Savor striking sunset views over the Gulf of Mexico from the balcony of your contemporary suite.